TopClassTutors.ORG provides students at primary schools, secondary schools, and universities with online tutoring worldwide. No matter where you are, as long as you have a working internet connection and a computer, we can tutor you. 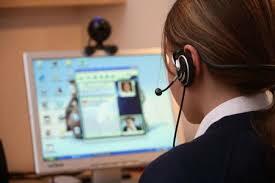 Our tutors work online with students worldwide via Skype, Google Hangout, ooVoo and other web-conference tools. Our tutors are highly enthusiastic and very patient professionals whose passion is to teach their subjects. They teach their subject in such a friendly and innovative way that it becomes the student’s most favourite subject in the long run. TopClassTutors.ORG provides online tutoring for all curricula. Our fees or apply here.